Dr Chris Giezing weighs in on the new PDO thread lift procedure: the Princess lift. Threads and thread lifting arrived on the medical aesthetic scene with a huge bang – so much so that it appears very few new treatment modalities have ever been welcomed with more open arms. Or so it might seem, if you consider the amount of interest it garners at conferences all over the world. I profess that I was personally slightly underwhelmed when PDO threads started making the rounds. For one, the science didn’t seem to make sense: collagen stimulation through the placement of subcutaneous polydiaxanone threads? Or maybe it made sense, but just not enough sense? How could this be an additional advantage to existing non-surgical interventions, and would it improve our outcomes enough to become a permanent part of the medical aesthetic toolkit? In hindsight, I couldn’t have been more wrong. The more I spoke to doctors who were performing them and patients receiving them, the rosier the picture seemed. PDO threads not only provided directional support and collagen stimulation, they also improved skin quality – and to such an extent that acne scarring improved. Patients were also thrilled with the neck lifting capabilities and improvement in jaw definition. One of my patients reported that it was the first time in many years that she could show her décolleté area with any sort of confidence. Everybody started using them and suddenly new threads appeared. One of these was the Princess lift. They changed things up a bit by improving the needle quality and, to be honest, I think that this will become the biggest point of contention in the long run. Most of the threads are made in Korea and, although different styles of threads are used for different indications, it is the quality of the needles that will typically make the decision for most injectors. Princess opted for thin-walled needles (allowing for smaller-gauge needles), which allows for a less traumatic treatment and a greater ease of placement. They have basic (smooth) threads in lengths, varying from 30, 40 and 50 to 90 mm. There are also screw threads for more intense collagen stimulation, with a slight volumising effect in lengths – 40, 50 and 60 mm. They then have threads with bi-directional cogs or barbs for a lifting effect, which is available in 60 and 90 mm lengths. And yes! I started using them. So, I can truly say that I joined the chorus of contentment. It added value to my liquid facelift procedures. I was suddenly able to enhance my other results around the eyes and lips, where I also found something (at last) that brought me closer to a solution for those pesky vertical lines on the lower cheek area. 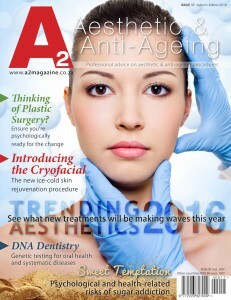 This article was written by Dr Chris Giezing and edited by the A2 team EXCLUSIVELY for the A2 Aesthetic & Anti-Ageing Magazine March Autumn 2016 Edition (Issue 17). To make use of any of our content for re-publishing, please contact info@a2magazine.co.za for approval. Dr Chris Giezing MBChB (Free State) - Dr Chris Giezing’s specialty is in medical aesthetics and wellness, and has been involved in the industry since 2000. His focused interest is in neurotoxin and filler use, as well as weight loss and body shaping modalities. Dr Giezing also incorporates elements of functional and integrative medicine in aesthetic practice (bio–identical hormones, nutritional medicine and naturopathy). He is one of the founding members of AAMSSA (Aesthetic and Anti-Ageing Medical Society of South-Africa), a member of the Allergan Aesthetic Academy – and a trainer in neurotoxin and filler use for various companies since 2008. Furthermore, Dr Giezing is a member of external training (Medaesthetic Academy) for doctors and dentists in aesthetic products, procedures and treatments since 2009. 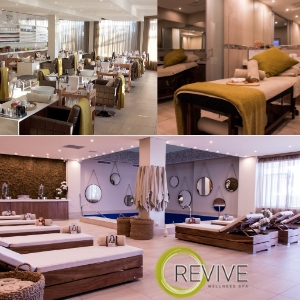 Deluxe Laser & Spa: Why Laser Hair Removal is the Perfect Summer Treat!